With election season nearing its climax, the Office of Special Counsel recently jawboned three federal employees into removing illegal campaign paraphernalia from their federal work facilities. “The Hatch Act prohibits federal employees from engaging in partisan political activity while on duty or in the workplace,” the independent agency noted in a press statement. In Colorado, a U.S. 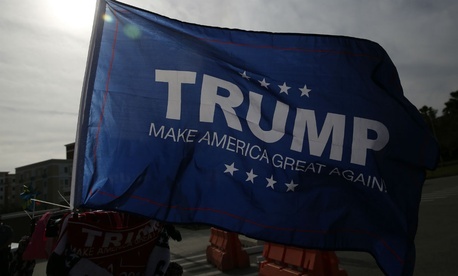 Postal Service employee displayed Republican presidential nominee Donald Trump’s "Make America Great Again" slogan behind the desk at the post office. OSC staff contacted the local postmaster to advise that the Hatch Act prohibited display of the sign. The sign was quickly removed, OSC verified. » Get the best federal news and ideas delivered right to your inbox . Sign up here. Also in Colorado, a Customs and Border Protection employee posted an unflattering picture of Democratic nominee Hillary Clinton in an area of the workplace accessible to the public. OSC contacted the agency, and a senior manager immediately removed it. This case is still open pending investigation of additional allegations, OSC said. In the last case, a Federal Aviation Administration employee in Oklahoma displayed a Hillary Clinton bobblehead doll at work. OSC directly contacted the employee and advised that, because Clinton is currently a presidential candidate, the Hatch Act prohibits the display of the doll at work and that the employee must remove it until after the election. OSC confirmed that the bobblehead is no longer out. 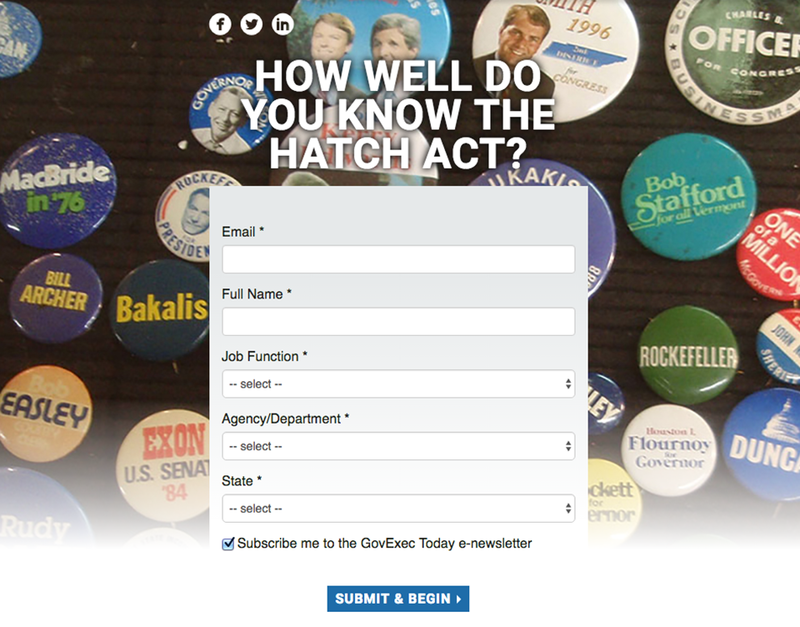 Despite such Hatch Act restrictions, the agency specified exceptions that allow employees to have “one bumper sticker per candidate on a car parked in an agency parking lot, so long as the car does not appear to be a campaign mobile.” Also acceptable are historical memorabilia showing past candidates for office. The agency recommends study of its guidelines found here.